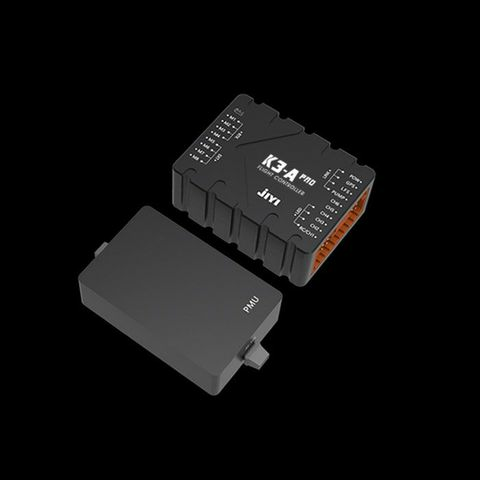 JIYI K3-A Pro flight control is specially designed for agricultural sprayer drones. It has a variety of modes and exclusive functions for agriculture sprayer drones. It supports manual, semi-autonomous and autonomous flight. It can monitor drug flow in real time and intelligently match the spray volume to achieve precise UAV pesticide spraying . Equipped with professional App ground control station, it is efficient and easy to operate. K3-A Pro built-in fixed height mode, GPS - speed mode and other operating modes, easy to operate, flexible switching, free to change operating modes according to different operating environments, to meet the needs of agriculture spraying requirement. K3-A Pro is a new upgraded version of K3-A, the best-selling king of flight control in the last three years. The reliability and stability of K3-A Pro have been further improved and optimized on the basis of the original K3-A flight control. The products cover the drone users in Asia, America, Europe, Oceania and other countries. In 2017 and 2018, K3A get the recognition of 70% of the agriculture sprayer drone manufacturers in China. Personalized app tailored for agricultural sprayer drones, it can provide arbitrary polygon route for unregulated terrain, autonomous operation and improve work efficiency. It has a route memory function and can calculate the spray area, which helps the operator to grasp the dosage more accurately. Dual GNSS magnetic compass configuration, to achieve the best positioning control, ensure safe and stable flight. Attitude - stabilization mode, Attitude - fixed height mode, GPS - speed mode, GPS - angle mode, AB point mode, automatic return mode, out of control return mode, low voltage protection, Breakpoint continuous spray function, one button Traverse function, Water pump control function, Terrain following function, Emergency stop function, GPS speed switching function, support for App ground station, support remote control tuning setting by data link.